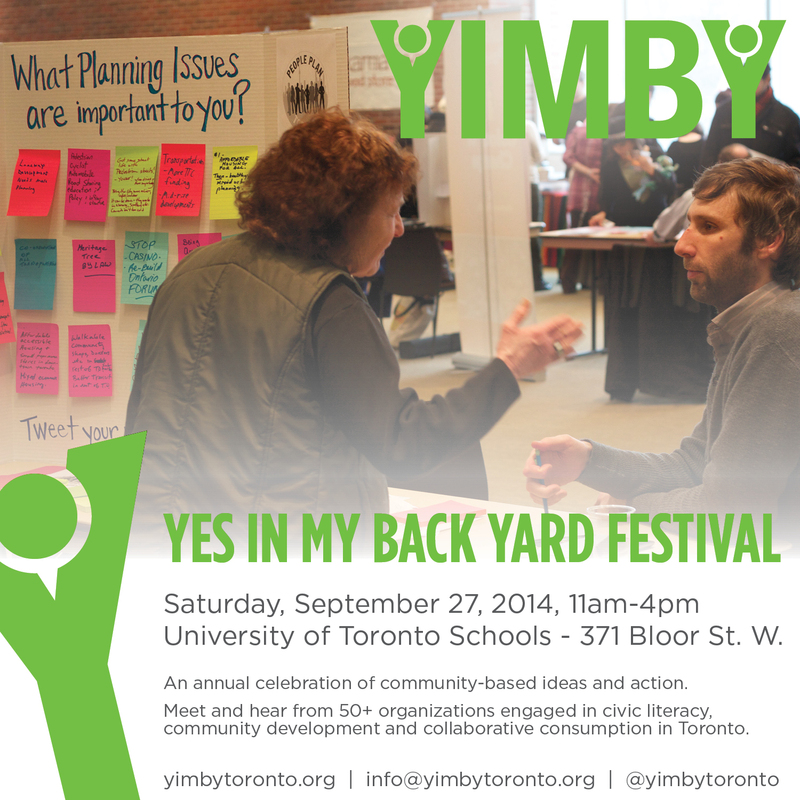 Join us at YIMBY (Yes In My Back Yard) Festival: a celebration of community-based ideas and action in Toronto. The festival is free and open to all, providing a social space for people and groups involved in locally-driven community development to gather, exchange ideas and strategies to affect change, and imagine the future of our city. At this year’s YIMBY Festival, we’ll welcome 70+ Toronto-based groups involved in community development, civic literacy, neighbourhood improvement, environmental action, arts and culture, and economic development. The Marketplace area will focus on collaborative consumption, featuring organizations and businesses that are helping to strengthen the shareable economy movement in Toronto. Throughout the day, visitors can connect with organizations face-to-face, attend panel discussions focused on community development and sharing economies, and take in a series of flash presentations where YIMBY participants will share their current work, ongoing strategies, and new ideas for positive change in Toronto’s neighbourhoods. + more to be announced in the coming weeks.